Either I’ve been looking in the wrong places or the field of children’s pyjamas is quite dire. Everywhere I look, I see either trademarked cartoon prints or questionable fibres – but fortunately, this looks to be changing. Having just launched in November, brand new Rube and Harri is all about embracing the purity and innocence of childhood and offers classic sleepwear designs for boys and girls in a range of gorgeous prints in cotton fabrics. The girls pyjamas in a range of raspberries and soft pinks feature all things nice such as birds, spots or pinstripes, while the boys are all about stripes, with the exception of a gorgeous compass print. 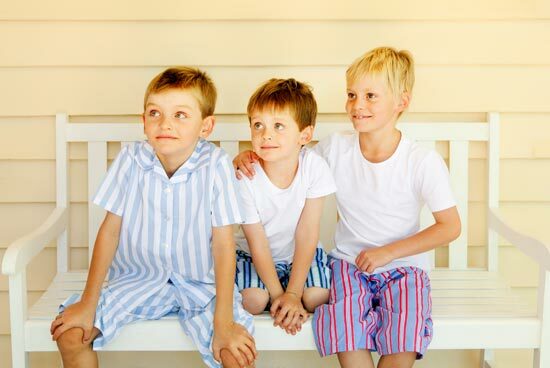 The pyjama sets are $44.95 and delivery Australia-wide is a flat rate of $9.95.